An employee evaluation form streamlines your performance management process by giving you a baseline to start from. No one type of employee evaluation form is best for every business—factors like your industry, employment type, job level, and preferred rating scales should all be taken into account. To help, we’ve assembled a customizable template you can use. Instead of printing these forms, you can also run employee evaluations completely digitally. 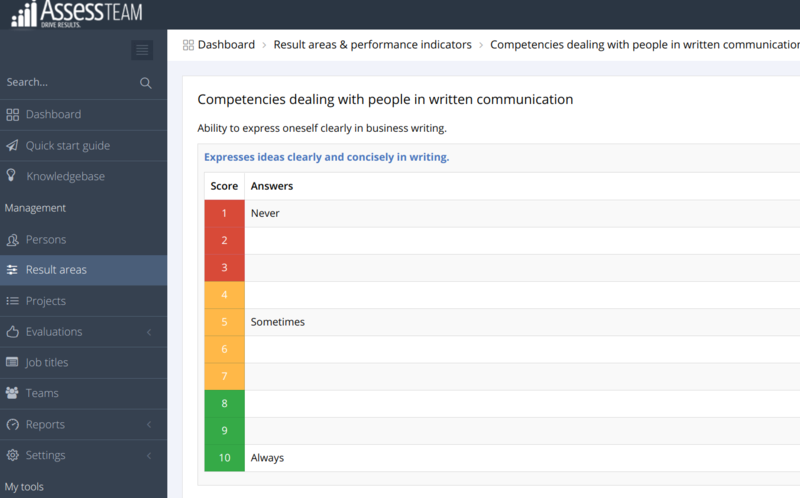 Zoho People is a small business HR software with a performance management tool that makes it easy to provide direct feedback to your employees. You even get a secure document vault where you can store and share policies, handbooks, and other sensitive documents. Try it free for 15 days. Download the template here as a Word Doc and here as a PDF. Employee evaluations forms, also referred to as performance review forms, are part of a performance management process that starts with your company setting goals. First, you (the employer) decide what you want the company to accomplish on a periodic basis, such as each year. Then, at key points in time (monthly, quarterly, annually) you check in to determine how each employee is contributing to these goals. Employee evaluation forms help you gather that performance data. To learn more, read our article on the performance management process, which covers all the steps that should be followed, including conducting employee reviews. Who is doing the review? Managers? Employees? Peers? What are we evaluating? Goals? Values? Competencies? What kind of rating scale do we want to use? Three-point? Five-point? Yes/no? Smiley faces? Performance management employee evaluation forms come in all shapes and sizes to suit the kinds of employees you have and the type of work they do. 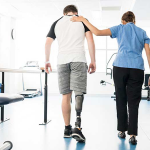 To give you some options, we’ve gathered job-specific templates that you can download for different types of workers, such as hourly and salaried, and jobs like IT, admin, food servers, or managers. Reviews for hourly staff should be easy to use and to explain to workers. They should focus on the job goals or any key result areas (KRAs) as well as basic work efforts. They may include rating employees on punctuality and attendance in addition to results and behaviors. Below are three different examples of hourly employee evaluation forms to use for your employee performance reviews. Take note of the various scoring systems used and how different types of employees are evaluated on different criteria. 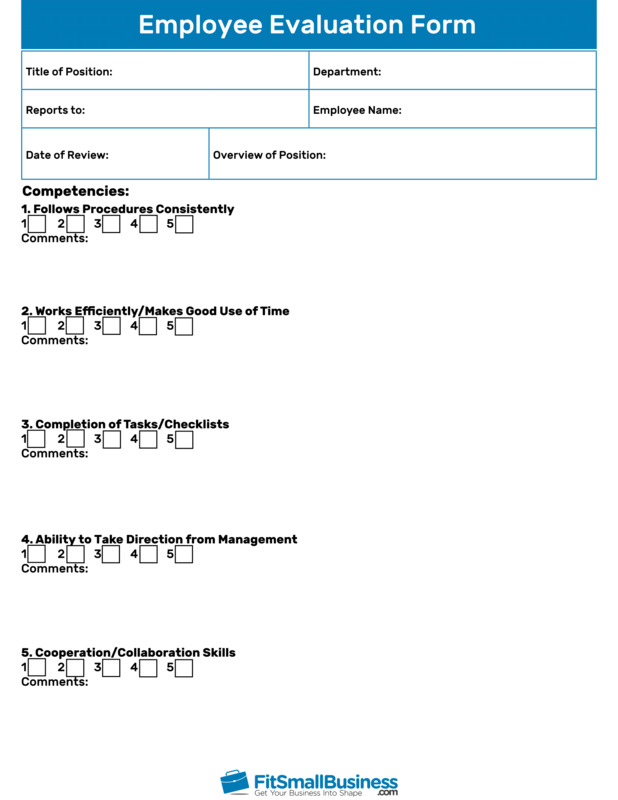 Each of these employee review templates can be downloaded and customized by clicking the link and saving a copy of the form. Timekeeping vendor Homebase shares two additional hourly performance review templates on its website. One can be used for new hires to check in after 30 days. It also embeds praise in its timekeeping system. Homebase is a great choice for anyone who wants to keep track of attendance as part of their performance management process for hourly staff. 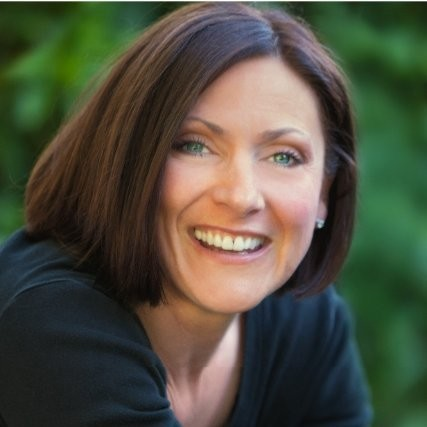 We talked with Carol Wood, People Operations Director at Homebase, who told us about some new features that support employee performance. Homebase has a shout-out feature where peers and managers give instant and public praise to their employees at the end of their shifts. It’s a great way to let everyone on the team know you noticed when someone went above and beyond! When you’re reviewing salaried staff, you may want to include additional categories or more room for comments. You may also want to indicate how the employee did in regards to their KRAs or company values. Are they a team player? Do they work efficiently? You may also want salaried staff to do a self-review. Here are two examples of review forms for salaried employees. Management performance reviews should focus on the leadership aspects of their job, such as communication skills and coaching, as well as measurable results like team productivity, units produced or departmental goals. They’re often longer, have more room for comments, and may include peer feedback. While our performance review template is an excellent start, if you have team or department managers that you are also going to be reviewing, you may want to add more evaluation criteria into your performance reviews in order for them to be effective. Training/Coaching of Team Members – Is the manager training their team to perform well? Is the manager serving as a coach to develop the team? Team Communications – Has the manager put a system in place so that the team communicates and work is done efficiently? Have there been a lot of miscommunications or dropped balls within the team? Company Values – Does the manager do a good job representing the company culture? Are you happy with how the manager is passing on cultural values to their team? Leading by Example – Is the manager setting a good example for the team? Do they have the respect and trust of their team members? Here are three examples of performance review forms for different kinds of management roles. Once you complete your reviews, you can use an HR and payroll software like Gusto to store salaried employee reviews, keep track of raises and bonuses, and pay out performance-based rewards. Try Gusto free for 30 days. Executive performance can be measured with a standard management review that focuses on goals and KRAs. However, as leaders of the organization, it’s often helpful to get feedback from their clients, peers, internal customers, and direct reports. That’s because executives tend to be very skilled at getting work done, but may not always be best at managing work relationships. Here’s an evaluation form that can be used for a 360-review. In addition, you’ll want to be sure that executives support and cascade your business values to the departments and teams they oversee. That’s when a 360-performance review may make more sense. 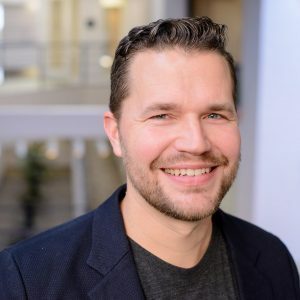 Here’s what Chris Beyers, CEO of Formstack, has to say about performance reviews. While they aren’t the most exciting aspect of the business, [employee evaluations] serve an important function. With more than 100 employees in multiple states, workflow automation helps our HR team maintain their sanity. Our talent team uses our form-builder automation to create and manage each employee evaluation form. Employees submit their self-evaluation through an online form, which is then automatically routed to their manager for review and feedback. After manager approval, the reviews are automatically sent to HR for approval. Performance reviews are right for any type of company, but the timing and format of the forms may differ based on your culture or industry. For example, formal performance reviews done annually or quarterly are often best in regulated industries, where performance metrics like safety or accuracy are critical. Small businesses may choose to do self-reviews, or do reviews more frequently so that they can recognize top-performing workers with monthly or quarterly incentives. 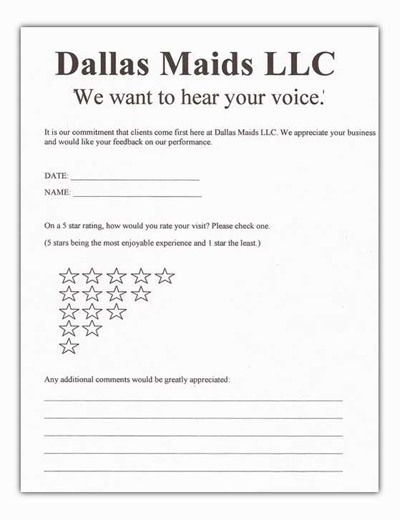 Others may want a short review form that can be completed with a simple email reply. Some companies prefer a long form or 360-feedback performance review tool that allows peers to provide praise and insights. Regulated Industries may want to use traditional top-down performance review forms that rate employees on KRAs, goals, or performance metrics each year. Startups may want to use more frequent performance reviews that focus on innovation and business results and that also promote a culture of entrepreneurship; these may include both business results and values. They may prefer to add self-reviews or peer feedback. Consulting firms and those in customer service industries may want to use 360-feedback to obtain information from an employee’s clients and customers. Retail and food service firms with lots of entry-level employees may want a way of obtaining just-in-time feedback using a short form, or a performance review app. In addition to having the employee’s name and the review time frame on the employee evaluation form, most performance reviews use some kind of rating scale. Below are examples of rating scales you may want to use. Most templates can be modified with a simple cut and paste to use the scale you want. For example, you might consider using a yes/no scale to identify whether employees met their goals/objectives or not. However, most forms contain a rating scale like the ones shown below. Some companies use no scale at all and simply leave room for comments and feedback. A three-point scale is best used when what you’re rating can easily be determined. Generally, the ratings are 1=below expectations, 2=meets expectations, and 3=exceeds expectations. Another simple rating scale is 1=poor, 2=OK, and 3=good. But it’s your review form, so use whatever labels you like, including smiley faces, if that works for your culture. Notice there’s no option to choose average? This is done on purpose to make those doing the rating clearly delineate which employees are above versus which are below for what’s expected of the job. A five-point scale is probably the most common. 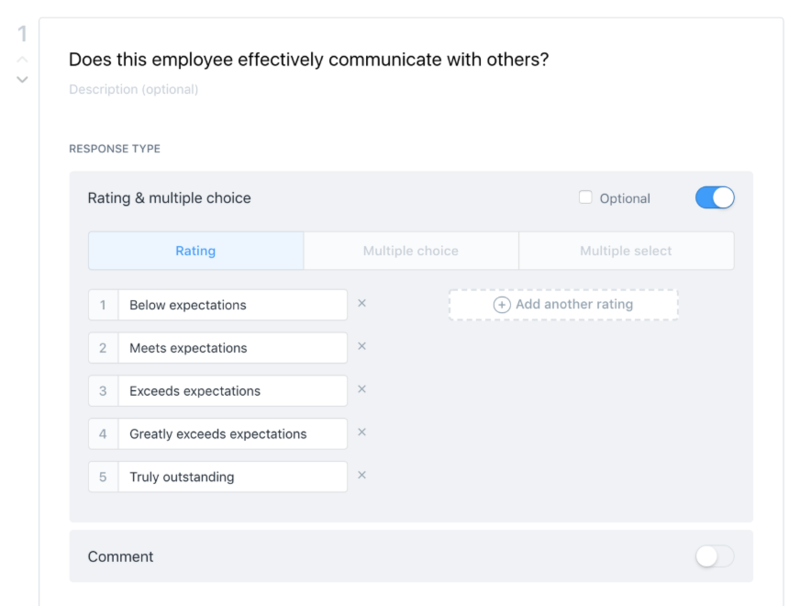 It gives managers a chance to choose from a range of rating options. The problem is that many managers prefer not to distinguish between average and above average performance, and everyone on the team ends up getting rated a three out of five. Notice, on the first example below, how the company has chosen to have only one below average rating, with all the remainder of the ratings focused on average or above. That makes sense, as most businesses terminate below-average performers long before they get to a year-end performance review cycle. The second example below shows a rating scale using five stars. That’s very familiar for those who rate products or services online. This example is used to provide feedback from customers on employees and may be all that’s needed for an hourly workforce in a service industry. A 10-point scale simply gives those who are doing the rating more room to differentiate each person’s performance. However, they may not be the best option as they require more work to tally the scores if you’re not using an online system. Plus, it may be difficult to explain to an employee why they got a seven and not an eight, as there’s no clear definition of what each value means. An example of a 10-point rating is provided below. You’ll note they provide words to help equate the 10-point rating scale with a three-point explanation. 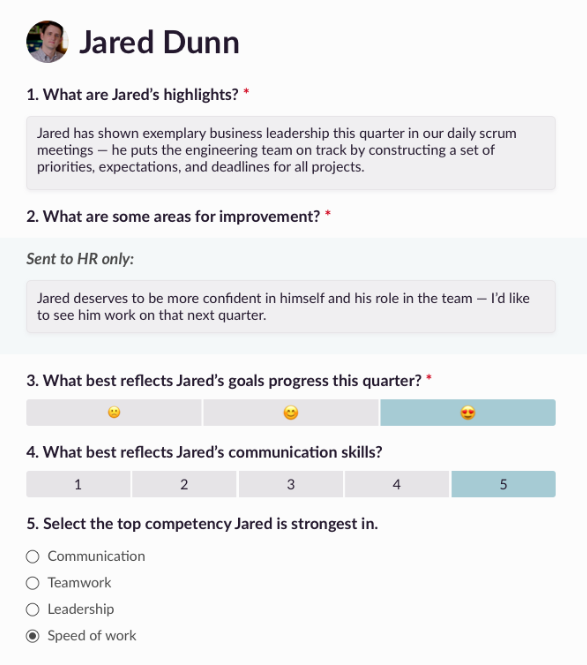 Here’s an example of how CareerLark manages performance reviews using their own custom forms that include multiple rating scales in one form. If you’re using one of the templates above or wish to create your own employee review form based on the examples we’ve provided, here’s what to include. You’ll want employee information, something to evaluate, and signatures, at the very least. You may wish to modify the form templates above to rename these items or add additional items like review time frame (monthly, quarterly, annual), or relationship of reviewer (peer, manager, customer). In addition, a good performance review is going to follow up with a section that allows the manager and the employee to plan next steps. That might include things like goals and KRAs, or it may be words to document the performance improvement needed. 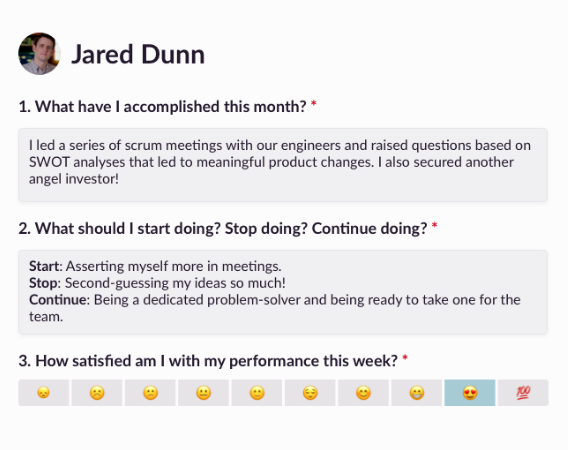 It might also include goals and metrics for the next review period, as we added in our template. Make sure you capture signatures in your review form. That way, if you’re ever on the wrong end of an employment lawsuit, you can prove that reviews were done and feedback was provided. This is especially important if the employee is below average and you ultimately end up letting them go. There are lots of sections you may want to add to your performance review, as it’s one of the few times each year that employees and managers sit down and talk about the employee’s job and that includes documentation. Examples of items you could add are competencies, values and development areas. Competencies, or job-related skills, can include items like leadership or auto repair skills. They can also be very formalized, such as if you choose to use a competency model. Or, they might be abilities critical for your industry, such as repair skills, cake-frosting skills, selling skills or electrical skills. 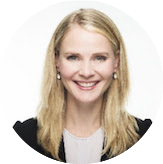 Values should tie directly to the cultural expectations or core values of your business. Some examples are below. For more examples of core values, read our article on Core Value Statements. Some employee evaluation forms add a section to describe what performance improvement is needed or skills the employee needs to develop. If the employees ends up being rated below expectations, you might even consider attaching a performance improvement plan as a separate form. In what areas does the employee need additional development? What additional training does the employee need? There are lots of options to creating performance reviews manually or using an employee evaluation form template. And in most cases, these alternatives can save you money by significantly reducing the time it takes for managers and employees to do performance reviews. They also save HR time by managing all the paperwork and reporting. Here are three options you might consider for employee reviews. Many HR/payroll vendors provide performance management tools. 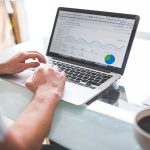 In addition, there’s an entire category of performance management software that can be baked into your business processes, starting with goal setting and managing employee reviews, on just about any cycle you choose. Recently, new vendors have created performance review apps that allow managers and employees to track performance on the go. 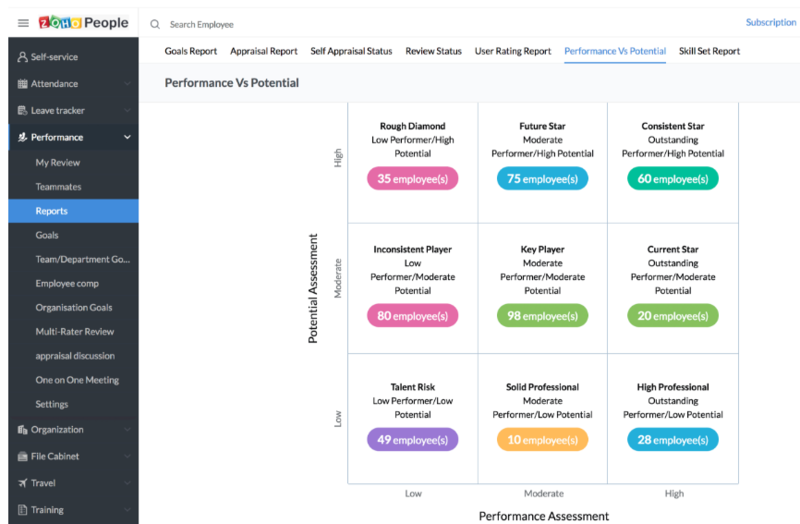 Here’s an example of a tool called Engagedly, which tracks the entire performance review process on a dashboard and with multiple employee evaluation scoring options so managers and employees can view performance data on the fly. Some companies have given up on formal performance reviews altogether. They’ve replaced the ubiquitous annual review with more frequent one-on-one manager meetings and peer feedback. Some have purchased apps to allow co-workers to praise employees or give them badges or points to motivate ongoing performance improvement. In fact, Gallup research has shown that Millennials especially want more feedback, yet only 17 percent strongly agree that they’re getting meaningful feedback on a regular basis. For ideas on praise and recognition, read our article on employee recognition ideas from the pros. Throughout my career, I’ve personally seen the power of conversation truly transform the culture and the business results; a motivated, engaged workforce is truly the most powerful asset an organization can have. The advantage of using continuous performance management software is that we’re actually able to see those conversations, and track the impact they’ve had toward improved employee retention, increased organizational agility and building leadership pipeline. Below are answers to questions you may have about employee evaluations. Are employee evaluations risky in any way? If managers aren’t trained properly, and document discriminatory remarks on an employee review form, then yes, they could be putting your business at risk. There are three ways to avoid this. Train managers on how to conduct reviews, including what not to say or document on a review form. Make sure you or someone from HR is looking at the review forms before they’re finalized to make sure they contain no inappropriate comments. Some performance management software can do this for you. You might use only rating scales on your evaluation form, leaving no room for written comments. However, this isn’t often helpful to the employee as it doesn’t clarify what they need to do differently to improve. What’s the difference between an employee review and a performance evaluation? Performance reviews go by many names, such as annual review, quarterly performance evaluation, or 90-day review, as examples. They all have one thing in common: they are designed to assess and evaluate the employee in terms of workplace performance. In other words, employee reviews and performance evaluations are pretty much the same thing. You can learn more by reading our entire article on performance management. Do employees have to have goals in order to be rated on performance? Not necessarily, although giving employees a SMART goal to work from or KRAs helps focus their performance. You could measure employees on values alone, such as friendliness, teamwork, speed and accuracy. But if you fail to let the employee know what the goal is in each of these areas, it’s harder for them to achieve it. For example, if you want 98 percent accuracy and fail to set that as their goal, employees may feel that 90 percent is good enough. Setting measurable goals is the best way to communicate your exact expectations. Employee evaluations do not have to be difficult. They require planning and thought as to what to measure, how often to measure it, and how to identify the difference between good and poor performance. That’s where having an employee evaluation form template can help. Using performance reviews as part of performance management can provide your employees with the data they need to see how they’re doing. Don’t forget to check out Zoho People, a complete HR software package that includes a robust performance management tool, secure document storage, and more. Start a free 15-day trial. what the relationship between performance appraisals and competitive advantages? Determine how each employee is contributing to the company's goals.